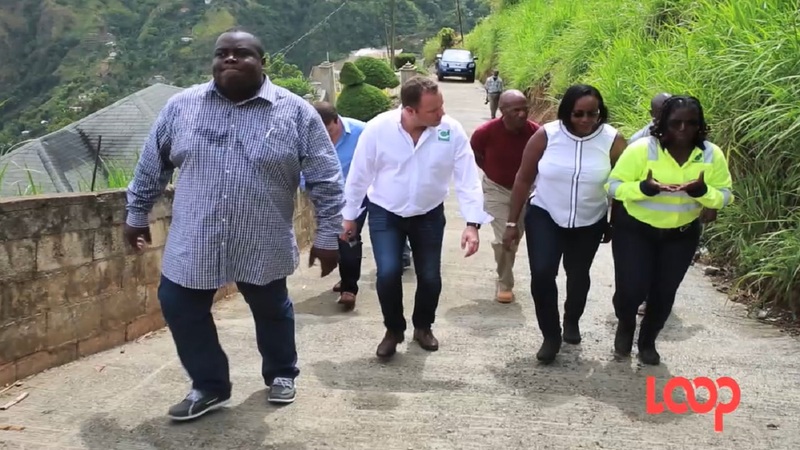 Carib Cement general manager Peter Donkersloot (third left) and East Rural St Andrew Member of Parliament Juliet Holness (second right) are pictured among a group of persons walking along the new concrete roadway on Friday. 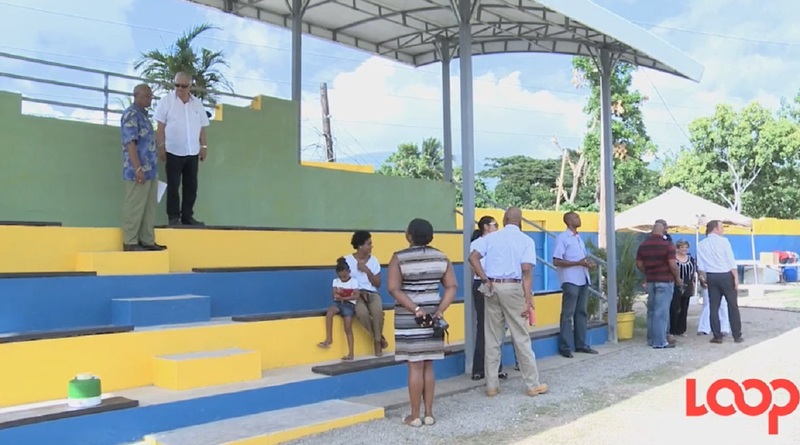 Persons who travel in and out of David's Hill in East Rural St Andrew are benefiting from a new concrete roadway courtesy of Caribbean Cement Company. 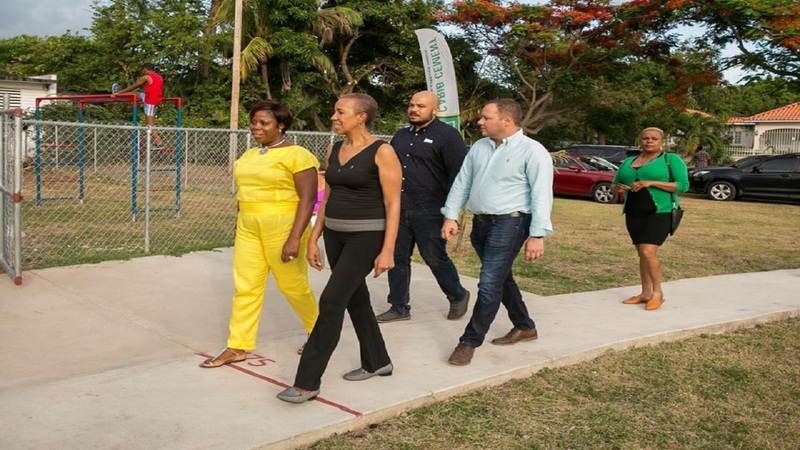 Carib Cement and East Rural St Andrew Member of Parliament Juliet Holness officially unveiled the 300 metre roadway in a ceremony on Friday. The roadway will particularly boost the agriculture sector as David’s Hill supplies one of Jamaica's most popular exports, the Blue Mountain Coffee, among other cash crops that feed the island. 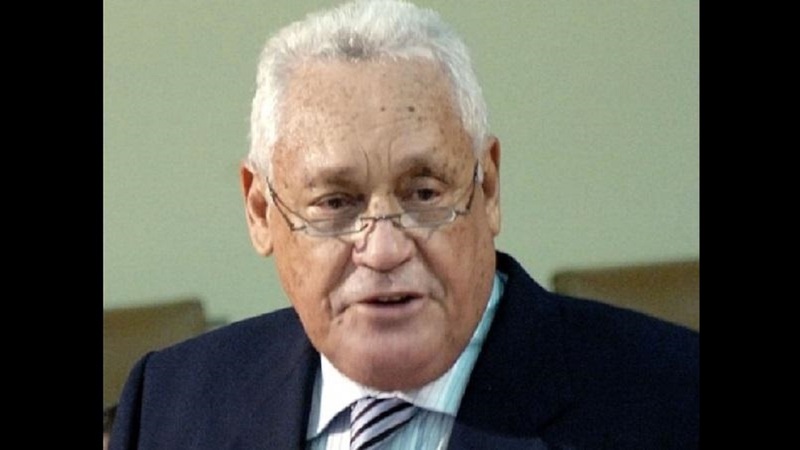 "We at Carib Cement are happy to be apart of the team that has helped to bring the best to them, the best being concrete roads," the cement company said. "We are proud of the investment, not only through cement, but by way of the expertise provided to build the road in such a challenging environment (with gradients in excess of 30°)," the company added, noting that "Completing the project was no easy task as the logistics of getting material to the location proved quite challenging."